New research suggests that custodians and BDs who partner with independent advisors face a serious risk to their business models as advisors age. While the aging of the advisor work force is not a new issue, new research suggests that the key partners of independent advisors — custodians and broker-dealers — face a serious risk to their business models as advisors age, while dually registered advisors, the biggest growth channel within the business, are facing increased scrutiny by regulators. Moreover, the wirehouses remain the largest channel by assets and have seen new growth through their “right-sizing” efforts, though they are focused more on retaining current advisors than recruiting new advisors to their model. A recent study by Cerulli Associates found that nearly half of the advisor work force is at or near retirement, which makes it even more urgent that firms recruit younger advisors to accelerate their succession plans, and puts BDs and custodians at risk of losing assets under management. 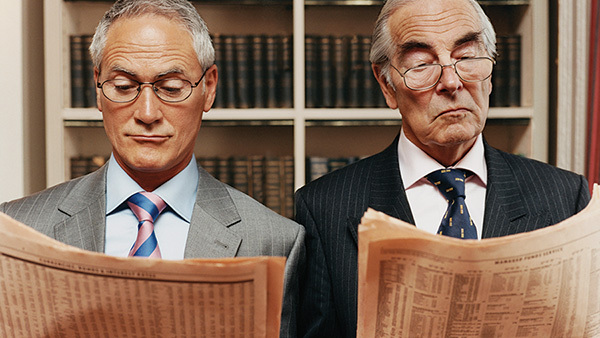 The study found that nearly one-third of advisors fall into the 55 to 64 age range. Cerulli focused on advisor trends and consumer information, including market sizing, advisor product use and preferences, and advice delivery. Over the course of 2012, the dually registered channel, within which advisors operate their own RIA practice while also affiliating with an independent broker-dealer, experienced the largest growth rate (21.5%) as the channel’s assets surpassed $1 trillion for the first time, Cerulli found. Initially, many observers assumed that the dually registered channel would be just a way station on the transition to becoming “pure” RIAs, Cerulli noted. “However, due to their legacy assets and some products offered solely through commission-based platforms, many advisors with their own RIAs anticipate preserving their IBD affiliations for the long term to maintain product access and, in some cases, as an acknowledgment of the value that their IBD home office can provide,” Cerulli said. So while these dually registered advisory practices generally brand themselves as RIAs, bound by a fiduciary duty to put clients’ best interest first at all times, Cerulli said, many are choosing to keep traditional brokerage relationships in order to maintain maximum portfolio selection flexibility. Despite the growth of independent channels, the wirehouse channel still controls the largest slice of the advisory segment, with more than $5.3 trillion in client assets, Cerulli found. “The four firms that comprise the channel—Morgan Stanley, Merrill Lynch, Wells Fargo and UBS—have lost overall market share in the last several years, but outperformed overall industry growth rates in 2012 as their right-sizing efforts began to pay off.” When asked by Cerulli which channel advisors were most likely to move their practice to if they were to leave their current broker-dealer, advisors in the independent broker-dealer, dually registered and registered investment advisor channels answered they’d prefer an independent channel. “When the IBD and RIA options are added together as their own category, it is the most preferred option across all channels, even including the wirehouse channel,” Cerulli said. This should serve as a warning to the four wirehouse firms listed above, Cerulli said, as they need to recognize this trend, especially as recruiting deals start to expire, and react accordingly. Recruiting deals, Cerulli said, are key to maintaining market share at the wirehouse firms, but do not mean that a large advisor team won’t decide to open up their own RIA. “Excluding advisors who are already in the wirehouse channel, no channel had more than 6% of advisors showing interest in moving into the wirehouse channel,” the Cerulli report noted.